We go LIVE during the Royal Ascot as Miss Temple City runs the Queen Anne Stakes. 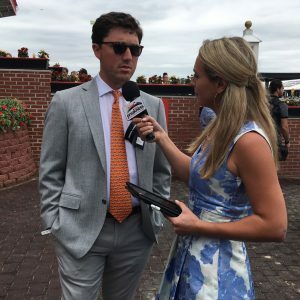 Leading into the race, Hunter Rankin chats with Maryland Thoroughbred horse racing analyst Gabby Gaudet about her experience at Royal Ascot and outlook on the three-year-old division. You can follow Gabby Gaudet on Twitter @Gabby_Gaudet_!